B-17 heavy bomber. 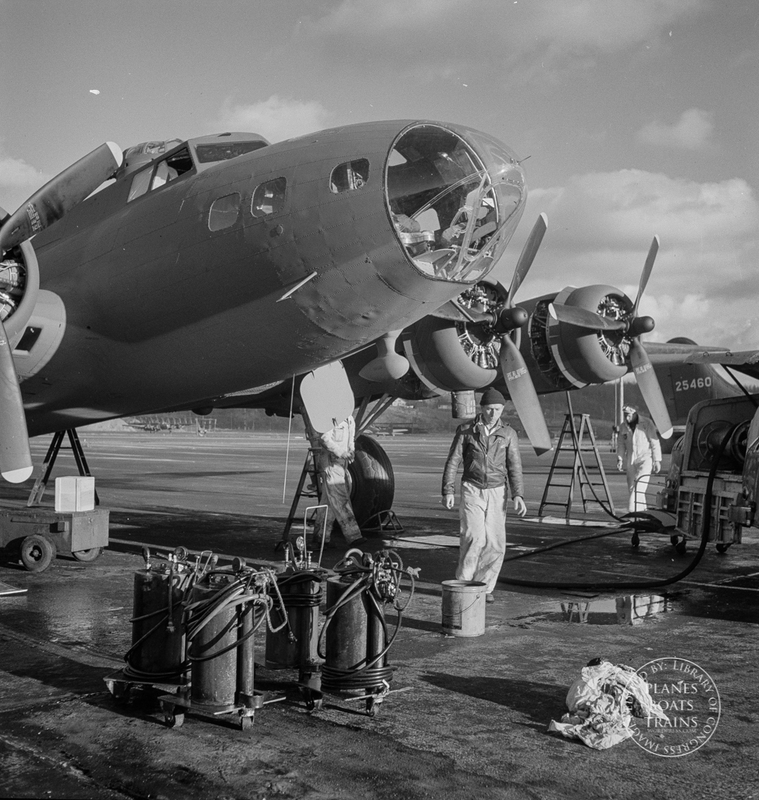 Lubricating and servicing a new B-17F (Flying Fortress) bomber for flight tests at the airfield of Boeing’s Seattle plant. Title: Production. B-17 heavy bomber. Lubricating and servicing a new B-17F (Flying Fortress) bomber for flight tests at the airfield of Boeing’s Seattle plant. Ships are delivered to the Army and the Navy after they have successfully undergone flight tests. The Flying Fortress has performed with great credit in the South Pacific, over Germany and elsewhere. It is a four-engine heavy bomber capable of flying at high altitudes.